Environmental advocates rallied in Washington, D.C. Thursday to support legislation to protect the public from toxic chemicals that have been linked to disorders and diseases such as autism and cancer. 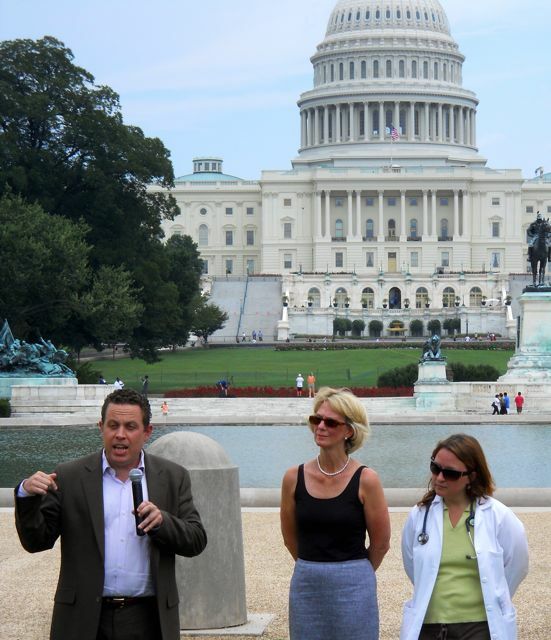 Representatives from the Safer Chemicals, Healthy Families Coalition and Natural Resources Defense Council (NRDC) held a press conference in front of the Capitol Reflecting Pool, urging Congress to overhaul a 1976 law that does not require all chemicals to be tested for safety. The press conference took place alongside a giant inflatable rubber duck to symbolize that even simple items such as toys may contain unsafe chemicals. Teaching humor to children with autism through imaginary play can encourage engagement, facilitate interaction, and promote the development of abstract thought. Studies have even shown that the ability to role-play in children with autism is related to communication abilities. Traditional autism therapies have focused on the behavioral aspects of autism, but while structured skills taught at a desk have their place, many children with autism have trouble generalizing those skills into the real world. Joking around with children with autism, especially using puppets for symbolic play, is an underused and underappreciated way of promoting creative, imaginative, and spontaneous thought. The Nationals blew a 5-1 lead and wasted two home runs by Michael Morse as Washington fell to the Brewers, 7-5 at Miller Park in Milwaukee Friday. The Nats gave starter Craig Stammen a 3-1 lead in the second inning when Michael Morse hit a three-run home run off Chris Narveson off the top of the left field wall. Earlier in the inning, Adam Dunn was hit by a pitch and Josh Willingham singled. Morse hit a solo shot to left center field in the fourth inning, giving the Nats a 5-1 lead, five more runs than they gave Stammen in a loss last Sunday to Florida. To see the rest of my article on Examiner.com, click here. Dr. Philip Landrigan of the Mount Sinai Medical Center told the Interagency Autism Coordinating Committee (IACC) Friday that more research needs to be conducted on potential environmental causes of autism. 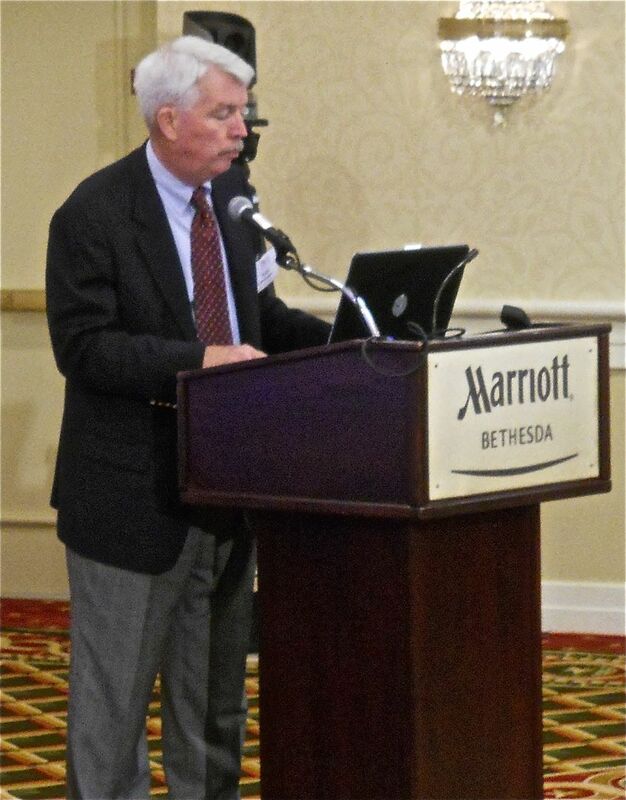 Dr. Philip Landrigan told the IACC Friday more research needs to be done into the environmental causes of autism. Photo by Mike Frandsen. For decades, autism has been believed to be primarily a genetic disorder, but in recent years, scientists have acknowledged that environmental factors such as pesticides and other chemicals also play a significant role in the causes of autism. Landrigan has been investigating the effects of environmental toxicants on the development of children since the early 1970s when he determined that even very small levels of lead could affect cognitive ability. His landmark work for the Centers for Disease Control and Prevention (CDC) resulted in the government banning lead from gasoline in 1976 and from paint in 1977, actions that decreased childhood lead poisoning in the U.S. by more than 90 percent. [picapp align=”left” wrap=”true” link=”term=strasburg&iid=9062720″ src=”http://view1.picapp.com/pictures.photo/image/9062720/washington-nationals/washington-nationals.jpg?size=500&imageId=9062720&#8243; width=”234″ height=”352″ /]The Nationals shut out the Florida Marlins 4-0 behind six scoreless innings by Stephen Strasburg and a three-run triple by Josh Willingham Friday. Strasburg struck out seven Marlins and gave up just four hits as he combined with Drew Storen and Matt Capps for the shutout in front of 27,037 fans in Miami. The game followed a familiar pattern for Strasburg (4-2). As he has a few times in the last month, Strasburg got off to a relatively slow – for him – start. He threw 34 pitches in the first inning, walking two, and looked a little uncomfortable. Then the rookie phenom settled down, and wasn’t dominant but pitched a very good game, giving up just one walk the rest of the way. Is New York a bad baseball town or just a mediocre one? I was just looking at the New York Yankees’ annual attendance figures. They have 27 World Series championships but unfortuately, their fans haven’t been very loyal, except for the past 12 years or so. From 1913 to 1945, the Yankees never averaged more than 20,000 fans per game. Same from 1962 to 1975 – no seasons in which they averaged more than 20,000. Then we have 1989 to 1996, when the Yankees never averaged more than 30,000 fans per season despite winning a World Series title in 1996. The first five (non-winning) years of the Washington Nationals’ franchise, the Nats have averaged more fans than the Yankees did from 1992-1996. The funny thing is that Yankees fans think they’re real fans, though they root for a team that has by far the biggest payroll in baseball. Are you also going to root for poker players who get an extra card or two? Fair weather fans — like LeBron James. Before you talk about the Yankees’ attendance being better than most other teams, remember that New York is by far the largest city in the country, and the 27 World Series titles should draw fans for them. George Steinbrenner: the worst owner in the history of baseball? I don’t believe you should only say good things about people who die, I think you should say the truth. George Steinbrenner helped ruin the game of baseball by making it a game of haves an have nots. The Yankees had a payroll of over 200 million dollars while some other franchises had a payroll of less than 30 million. They bought up so many star players from other teams that it became a joke. He constantly yelled at his managers as if that would help. He made 20 managerial changes in 23 seasons from 1973 to 1996. He paid money to smear one of his players – Dave Winfield. Also see my previous post, “Are Yankees fans bad people?” I don’t think they’re bad people — just not real baseball fans. The federal government’s Schedule A Programintended to facilitate the hiring of people with disabilities is severely underutilized. The hiring authority has rarely been used to hire people with cognitive, developmental or psychiatric disabilities. The federal government should develop and implement policies that ensure that people with autism and other disabilities are given an equal opportunity to contribute to the missions of government agencies. Unfortunately, the government’s record on hiring employees with disabilities through the Schedule A program has been abysmal. The agencies that should be leading the government are among the worst offenders, starting with the Department of Health and Human Services (DHHS), its Operating Divisions including the National Institutes of Health (NIH), and the National Institute of Mental Health (NIMH). Normally I trust the reviews on rottentomatoes.com, but “Year One” starring Jack Black and Michael Cera got 14% positive reviews. I thought the movie was really good. I’ve seen it a couple of times on TV. Just great humor with the contrast of a few characters joking in an otherwise serious context, and they take Biblical events and show them from the perspective of a couple of wanderers who don’t understand things like the wheel or money. Tons of great one-liners and funny situations. Adam Dunn had another big game with two home runs and a double, and Stephen Strasburg (3-2) gave up just one run and three hits in six innings as the Nationals beat the San Francisco Giants, 8-1 Friday night in Washington. For once, the Nats gave Strasburg decent run support, putting seven earned runs on the board against Giants starter Matt Cain (6-8). Dunn’s first home run was a solo shot, one of his patented moonballs that he golfed to the right center field seats, giving the Nats a 2-1 lead in the fourth inning. In the sixth inning, Dunn narrowly missed another home run with a double off the top part of the wall. In the seventh, Dunn slammed his 22nd home run to center field, a 445-foot, two-run shot, tying him for the National League lead with Joey Votto of Cincinnati. Strasburg got a rude awakening in the first inning before many of the 34,723 fans at Nationals Park even had a chance to sit down, when the first batter of the game, Andres Torres, hit a home run off a 97 mph fastball. Three other balls were hit hard to the outfield in the first inning off Strasburg, but they were right at Nats fielders.